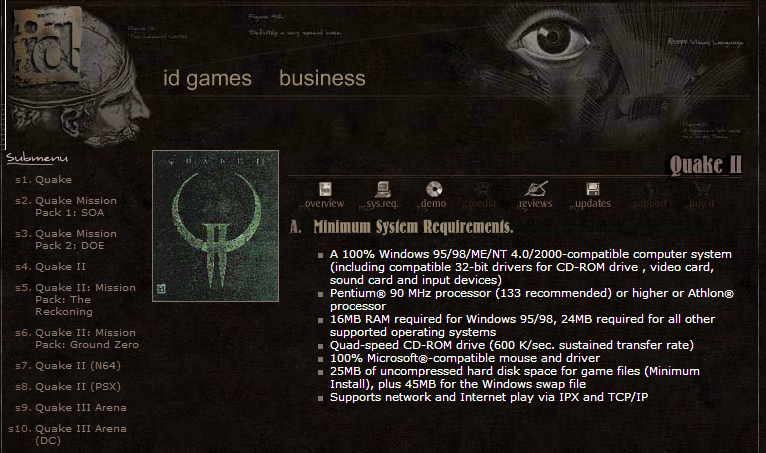 I love ID Software website for being unchanged for as long as I remember it. It looks vintage nowadays, but it’s a good vintage, the same kind as old city districts in Europe. I made a screenshot of Q2 system requirements for additional nostalgia to the rest who do no enjoy the design alone as much as I do.